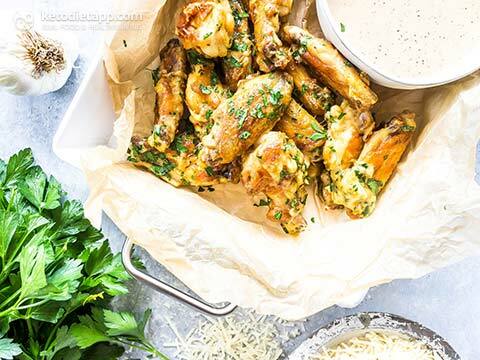 These keto-friendly Garlic Parmesan Wings have the perfect crunch. They are packing an Italian flavor I just can’t get enough of! With the butter and Parmesan they are really rich and totally worth it. With just 5 ingredients you can have these whipped up in no time. 14-16 chicken wings, cut at joints (~ 1.4 kg/ 3 lbs) - freeze the wingtips for later to make chicken stock or bone broth. Preheat oven to 230 °C/ 450 °F. 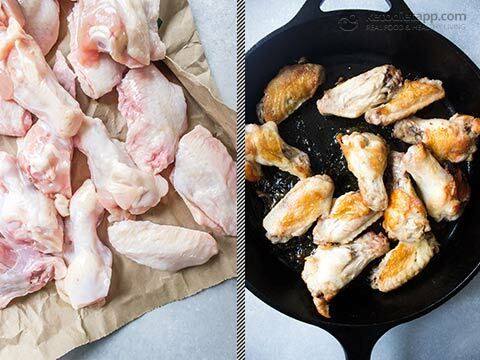 Dry the chicken wings by patting them with a paper towel. Heat a large cast iron skillet over medium high heat and sear the wings 2-3 minutes per side. 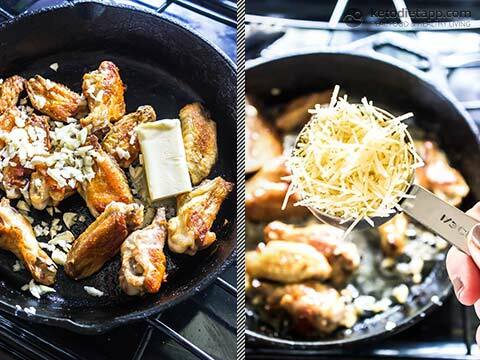 Add the garlic and butter to the skillet with the wings, stirring so that every wing gets coated in the sauce. Sprinkle in the parmesan and continue to cook just until melted. 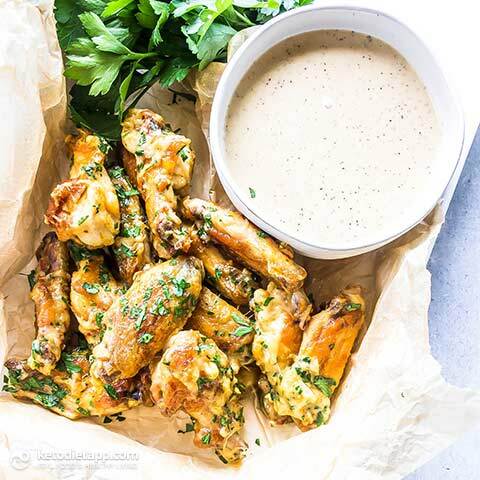 Toss with the cooked wings and serve with Caesar dressing. Serve immediately with the Caesar dressing. 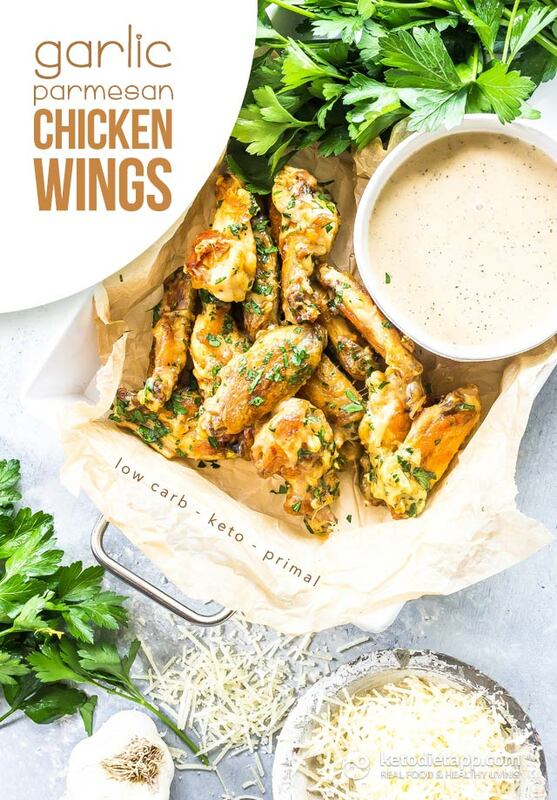 On tne chicken wings (garlic parm) how much is one serving? I can’t find where it says! It's 14-16 wings cut in half to get 28-32 pieces in total. Recipe says 6 servings so that will be about 5 pieces per serving. 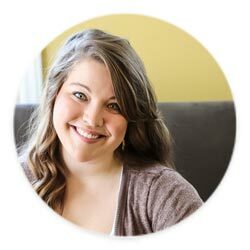 So I want preface this with you can’t win all of them. I replicated this one and in my opinion, by no means representative of a group, was really bland. The only flavor pop was the Parmesan which was minimal. Maybe cilantro. 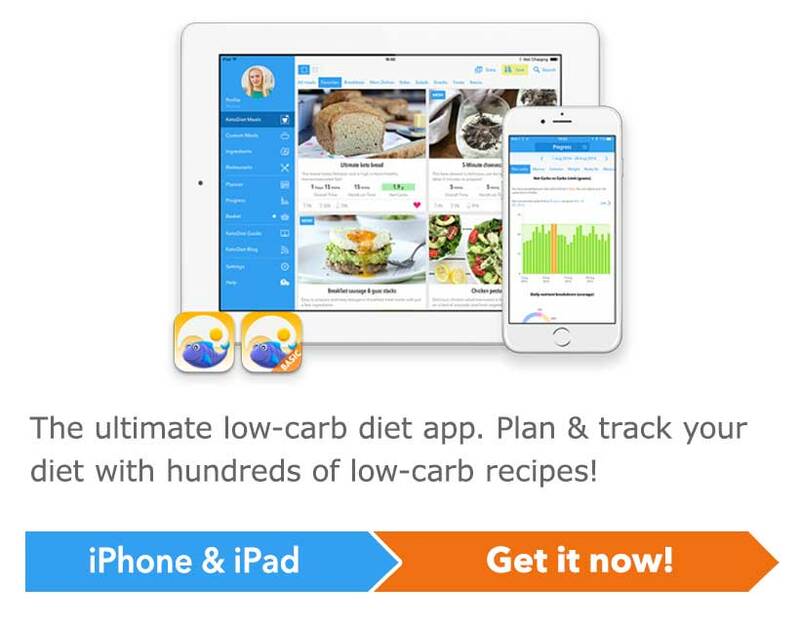 Still love a bunch of the recipes though. Do I heat the butter, garlic, and parsley then sprinkle the cheese on top of the chicken after I pour the sauce on? Thank you for your feedback, Tracey, all has now been clarified in step 4. Hi. Your instructions aren’t clear. Is the Parmesan cheese part of the sauce or is it sprinkled on when tossing wings. Thank you for your feedback, Lola, all has now been clarified in step 4.